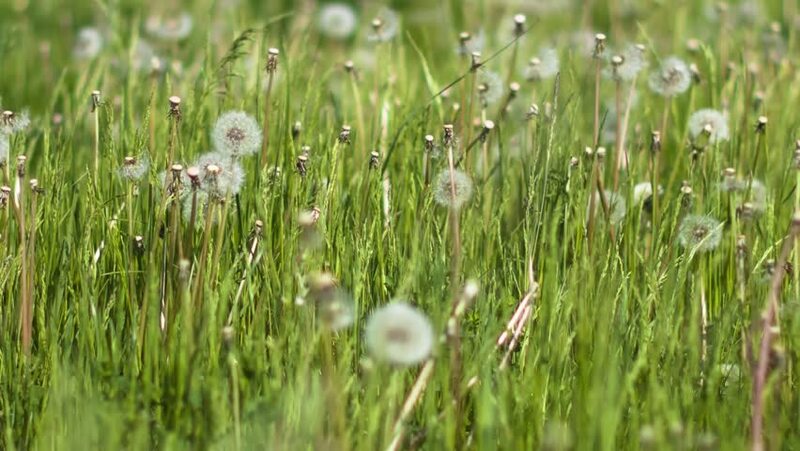 Meadow flowers, dandelions, sunny day. Focus Pull from single plant to dandelions in the background. Shot on professional cinema camera. hd00:10Blossoming wild field flowers, nature background. hd00:23Camera moving forward through white dandelion flowers and fresh spring green grass on pretty meadow. Dandelion plant with medicinal effect. Summer concept. Low angle dolly steady shot. 4k00:25Beautiful dandelions on the green meadow. hd00:14Fluffy dandelion blown by the wind - close up.